Gorillas are highly intelligent animals – their biggest problem is that they are not able to speak. 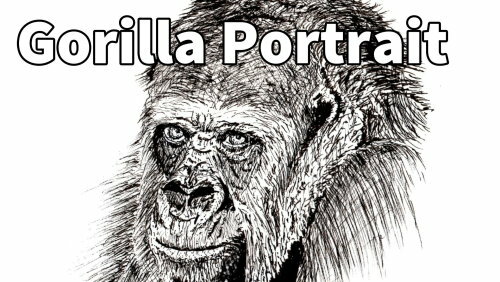 This gorilla has a very pensive look in the eyes and I wonder just what he is thinking about. 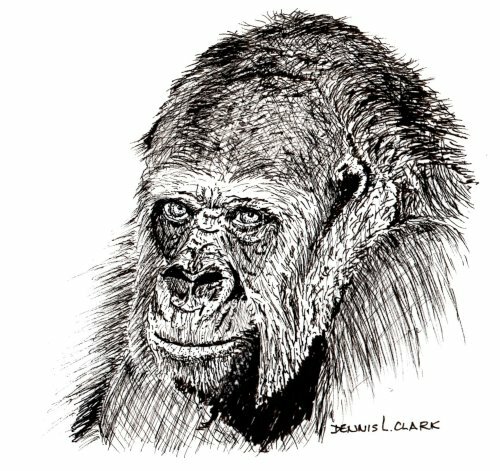 You will capture that look in this pen and ink drawing.